The 2018-2019 offseason has so far been an action-packed one for the Mets. 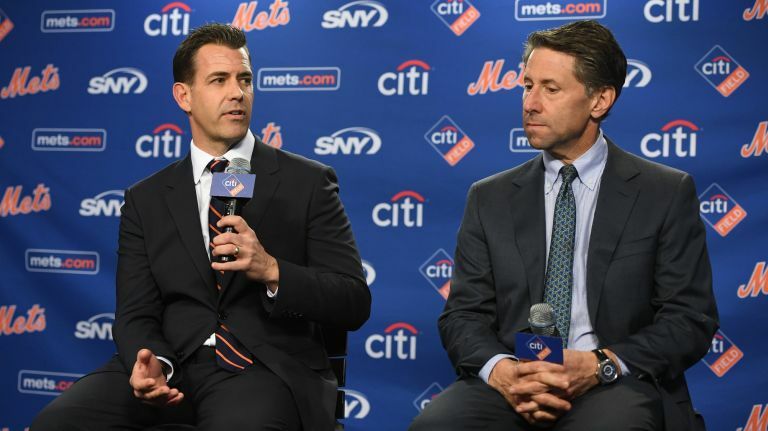 Since new GM Brodie Van Wagenen has taken control, they have made numerous moves that have sent shockwaves through the organization. With all the action, let’s take a moment to look at the payroll. On Friday, The Mets avoided arbitration with all potential candidates. This is good as it prevents the awkward situation in which the front office must explain why a player is not worth the money. Now that this is done, the Mets have 13 players whose salaries are decided and are expected to make the opening day roster. In addition, there are another seven players who are pre-arbitration and are all expected to be on the opening day roster. This list includes; Edwin Diaz, Seth Lugo, Robert Gsellman, Brandon Nimmo, Amed Rosario, Keon Broxton and Jeff McNeil. This leaves about five other roster spaces. Those who will be considered for these spaces include TJ Rivera as well as a slew of relievers such as Hector Santiago, Daniel Zamora and Jacob Rhame. Any player who is pre-arbitration or signed on a minor league contract, will likely get anywhere from the league minimum to $1 million. In other words, they are all negligible contracts. Anyone looking at these numbers will notice two holes. David Wright and Yoenis Cespedes have not been mentioned thus far. The reason is that it is complicated. Wright was released from the 40-man roster. In this Forbes article it seems that Wright will get $9 million this year and another $6 million in deferred payments. However, the original insurance policy said that the Mets could re-coup up to 75% of Wright’s contracts, putting them on the hook for under $4 million in 2019. It is unclear how much the Mets will pay and how much will be covered. The same goes for Cespedes. He too has an insurance policy. A couple weeks ago, the big news was that there was no timetable for a return. If he misses the entire season and has a similar insurance policy as Wright had, this would save the team over $21 million. However, the full details of the Cespedes insurance policy has not been disclosed to the public. Simply put, the Mets have two players who are owed a combined $44 million, but the team should end up paying far less. The big question left this offseason is how the front office will view money owed to Cespedes and Wright. This gets down to the big question. How does the front office view the payroll? Is it currently $109 or $153 million? No one really knows. If it is $153 million, then the Mets Brodie would need to get very creative if he wants to keep retooling. The Mets still need to factor in all the pre-arbitration players. Once done, the opening day roster will increase by roughly $5-10 million. Considering that in the last decade the Mets haven’t gone into opening day with a payroll $155 million this could be it. However, if the front office decides to reinvest the money saved, Brodie may surprise us. If he can convince the Wilpon’s not to count Wright and Cespedes in the payroll, things get interesting. Anthony DiComo, did not rule out the idea of the Mets surprising the world with Bryce Harper. This seems highly unlikely considering Harper wants in the $30-40 million a year range and the Mets won’t come near the luxury tax. However, there are other free agents that could be in play. The Mets keep checking in on AJ Pollock. After turning down the qualifying offer, this deal comes with risks. The Mets would give up draft picks and international pool money for a 31-year-old, injury prone centerfielder. For less than $10 million a year and no more than two years, this may be worth it. More than this is iffy. Marwin Gonzalez is a name that keeps coming up. Gonzalez is the best super-utility guy available. In his career, he has played 93 or more games at six different positions. He is an above average defender who had a breakout season in 2017. Last year, he regressed but was still solid. Marwin Gonzalez has the potential to improve the Mets outfield depth. Finally, the Mets could try to invest in the bullpen. Adam Ottavino and Cody Allen are the two most realistic options, considering that Craig Kimbrel will want top dollar. If the price tag drops on either, look for Brodie to make an offer. In an ideal world, the Mets would be able to move Juan Lagares, Todd Frazier and/or Jason Vargas. Frazier is a former client so that kind of a move would be awkward, but Vargas was a late Sandy-era mistake. While it will be hard to find many buyers, the Mets should consider trading and eating some of their contracts.